Google is one of the biggest companies in the world, probably the biggest on the internet. So, it is natural to be curious about when is Google’s birthday. But Google itself had some confusion in celebrating its birthday over the early days of the operations. But finally, for the past few years, they have been celebrating it on September 27 which might be their final decision. So, you could conclude that the real Google birthday relies on September 27th. No more doubts on that. By means of the Google’s birthday, we are aiming the birthdate of the entire company. Not a specific product such as the search engine or the Google maps. They are all founded in different periods. Even the parent company Alphabet Inc. founded on a different date. So, don’t get confused on this. When is Google’s Birthday? And how did they Celebrate it? On September 27, 2016 Google turned an adult and celebrated its 18th birthday. 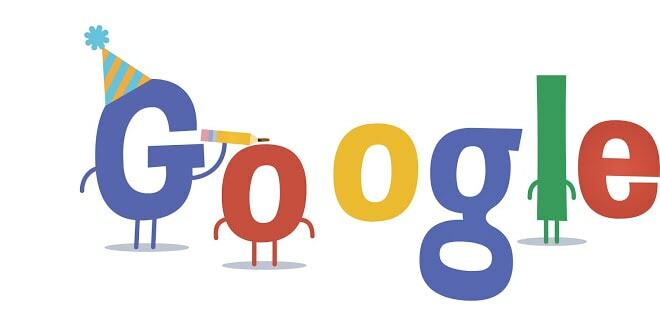 Google anniversary celebrations were quite awesome with their yearly birthday doodles. Especially for this natal day, the company created an iconic doodle which is given below. As you can see, Google’s 18th birthday doodle was quite funny and awesome. Apart from just the online celebrations, they cut some cakes and threw some party in the Google offices all over the globe. The Google birthday candles are still waiting for more awesome years to be a part of their birthday celebrations. The whole story started in the summer of 2015 when the Larry Page was considering attending the Stanford University and Sergey Brin was a second-year student there. They quickly became friends after Larry Page joined the school which eventually lead to a partnership in the next project. There paved the seeds for the No.1 search engine on the internet. By the start of the next year, they started working on the search engine project which initially called the BackRub. Later, they developed a new crawler which crawls the web, index it, and later rank it based on several factors such as page ranks. But that was just the beginning of a glory journey of a search engine giant. In 1997, the domain www.google.com was registered. But it started operating only on in September 1998 which we consider as the name day of Google. So, the journey of the Google also lies back to the 1995. That is the brief history of Google, and the rest is all the results of their hard work and dedication as well as some brilliant insights. Now, Google knows almost everything to answer our queries. Thanks to the Larry Page and Sergey Brin for their great contribution to the billion internet users. The history of Google birthdays is a quite confusing story. Especially, as you are looking for an answer to your question “when is the birthday of Google,” you might find this confusing. Google was born on September 4, 1998, in Menlo Park, California, United States. This is the officially confirmed birthdate of the Internet giant. In 2003 Google created a birthday doodle on 8th September, and it already became confusing. But in 2004, they made it more confusing by publishing the doodle on September 7. In 2005, the date was September 26. So, naturally, the internet got confused due to this random birthday picks. But knowingly or unknowingly, Google solved this problem by celebrating their birthday on 27th September for the past few years. It has been more than a decade since Google started officially celebrating its name days on the same date. So, it is the time to conclude that the final decision has been made. The internet has finally got a confirmed date to say happy birthday Google. Google’s 19th birthday – probably on September 27, 2017. Just wait for it. Last year, in 2016 Google turned 18. After a long decade and a half, Google never seems to be aging. They are continuously increasing their efforts to build a better internet with their products. They also launched some hi-tech gadgets such as Google Wifi and Google Home which all helpful for the people. The company is currently working under the insights of the CEO Sundar Pichai. He was selected as the CEO back on Oct 2, 2015. So, Google will still continue their efforts and produce such useful products and services. Never forget the mighty Gmail and useful Google assistant. Let’s be a part of the Google birthday. How old is the Google? Google is 18 years old as of 2016. 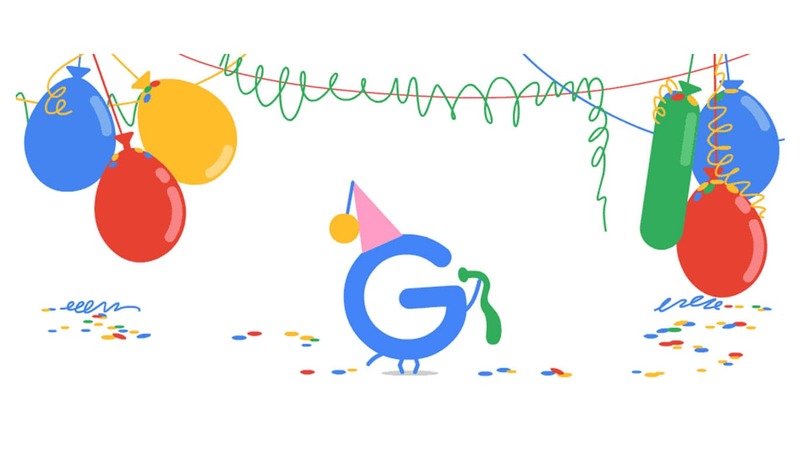 Even if the actual birth date is a little different from the day we start counting the age of Google, officially, Google just entered to its adulthood. Even if we search its own birthday in Google search, it will output 18. 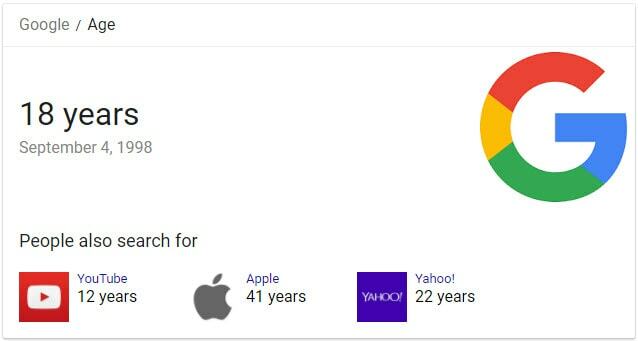 If you want to try it yourself, just head over to Google.com and type “how old is the Google.” It will display the details of its own age which is 18 years, started counting from September 4, 1998. Alongside that, you can also see the age of YouTube which is 12 years. After the 18th anniversary, Google is now looking forward to celebrating its 19th birthday. We hope they continue bringing great services and some glorious birthday present to us, the internet users. Let’s wait few more months for the next birthday of the internet giant. The Google Doodle is a tradition created by Google to celebrate various festivals, birthdays, holidays, etc. by temporarily altering the Google logo. It gained large popularity among the people since it founded on 30th August 1998. It was the birthday of Google Doodle. For those who haven’t seen the first Google Doodle, here it is. It took a long time to dedicate a team known as “Doodlers” who creates and manages Google Doodles. It was on 2009 where few of their engineers dedicated for this work. On 4 January 2010, Google released its first animated doodle on the birth anniversary of Sir Isaac Newton. The first interactive doodle was created on 21st May 2010 as a part of the Pac Man’s creation celebration. You can view it from this page. Charlie Chaplin’s 122nd birth anniversary was celebrated by the first live-action birthday Doodle on 16 April 2011. Following this, on Les Paul’s birthday, Google released the most popular doodle to the date. It was a playable guitar which later became the most popular name day doodle of all time. That’s the short history of Google Doodle. Google never forgot to release a birthday doodle for honoring the famous personalities all around the globe and they continuing it. If you are still confused and want to get a final answer from us. There is no more doubt needed in the birth date of the Google. Google officially confirmed that the official birthday of Google will be celebrated on September 27th. It was on their 15th doodle, Google solved this mystery. So, no more questions needed regarding this, and now you know the birthday of Google. Also, enjoy a Google’s birthday game.